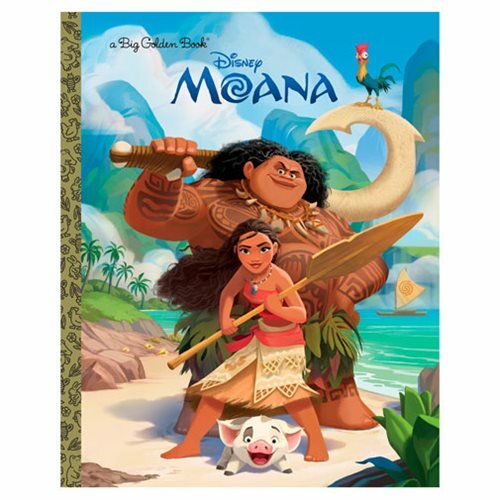 Based on the Walt Disney Animation Studios' film Moana comes the Moana Big Golden Book. Moana tells the story of a spirited teenager on an impossible mission to fulfill her ancestors' quest. Disney fans will love this beautifully illustrated hardcover Big Golden Book based on the movie. The 48 page book measures about 11 1/10-inches tall x 8 9/10-inches wide. Ages 6 and up.